Adds a member to one or more Active Directory groups. Adds an IPv6 Reservation to an IPv6 prefix or scope. to open a Windows PowerShell session with elevated user rights. taskbar, and then click Run as Administrator. then on the app bar, click Run as Administrator. Virtualization Filter Driver in Hyper-V server 2012.
view of the event logs on another server. Collects resource utilization data for a virtual machine or resource pool. Installs one or more roles, role services, or features on either the local or a specified remote server that is running Windows Server 2012 R2. It replaces Add-WindowsFeature on former OS. Changes the name of an Active Directory object. Modifies user account control (UAC) values for an Active Directory account. Can also be used to disable a computer account, prevent a user from changing his password. Modifies an Active Directory group. Can modify certain parameters, such as ManagedBy and others. the merge parameter other policys can be merged. or all the GPOs in a domain. Use the Set-User cmdlet to modify user attributes in Active Directory. This entry was posted in Windows Server 2012 R2 on 05/04/2018 by 1czfq. Go here to the original Microsoft Description of this exam. Wondering which questions may come? they have not much to do with the question that have to be answered in reality. remember, only real knowledege will help you in work. A good posibility are the microsoft books. 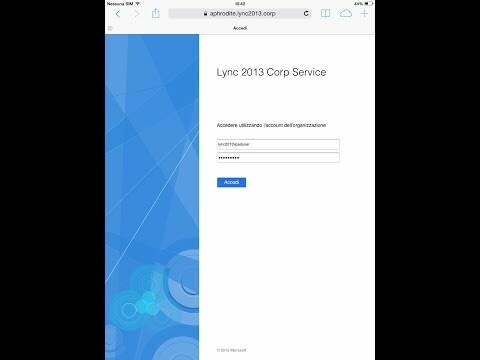 Found a video from Lync2013 which explains the basic quite well. For implementation you need the Active Directory Federation Services (AD FS). Initiator. The msiscsi service must be started, before you can use it. you a bit. Comments in the video are on german.